You must have a proper USB Driver installed to connect your Android device with your computer to perform various task. The task of this software piece is simple, its allow you to access your Android phone or tablet right from your computer. No mater you use Samsung, Xiaomi, Sony or LG Android smartphone or tablet, you must install USB drivers to transfer data such as photos, videos, mp3 between your computer and smartphone. A driver also required to set up ADB/Fastboot properly. In this page I’m trying to explore all possible ways through which you can download and install USB driver that support your device. The below list will help you to download the driver either from manufacturer website or from file host. I also added few tools that may simplify the task at later part of this article. 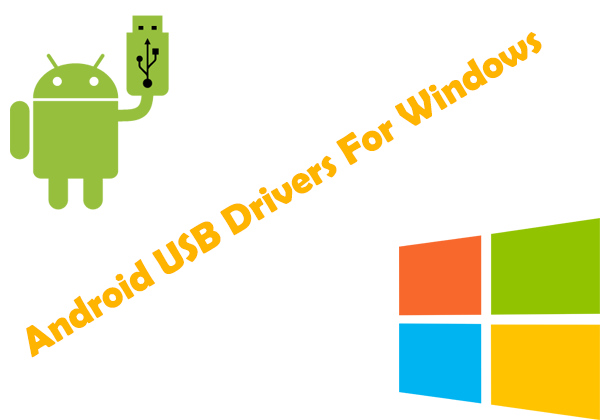 This tools are known as universal USB/ADB driver installer and is very useful for those who didn’t find a driver or find difficulties to install the driver. If you are a Windows user then the Operating System usually download and install the driver automatically once you connect your phone for first time. Mac OSx and Linux user may download the driver from manufacturer website if available. The list is surely not complete. As Android is free OS and manufacturer don’t need to pay unless they want a Google Play Store license, we witness a countless regional Android manufacturer. That’s why its hard to list all manufacturer’s USB driver link. However, to make thing simple I’m going to discuss few tools that most likely help you to install necessary driver. But before that, here is a quick instruction for those who downloaded USB driver from manufacturer website, run that executable file but Windows still not able to recognize your driver. I’m taking a Samsung device as an example but it can be any Android smartphone or tablet. The method I’m going to discuss is ‘have disk’ method. You can visit YouTube and search for ‘manual USB driver installation Windows’ to get a better understanding. First of all you need to uninstall previous USB driver for your device if there is any. To do this, go Program and Features >> Device Manager. Unpack downloaded USB driver archive at a convenient location in your computer. For example in C: drive. Switch your Samsung smartphone in download mode and connect it to computer using USB cable. You can directly connect any other manufacturer Android device. You phone should now discovered by Windows with a name, say ‘Gadget Serial’ device. Go to Windows Device Manager. Right click on the device your phone has been discovered as (e.g. "Gadget Serial") and choose "Update driver" option from the context menu. Choose "Search my Computer...", check "Include subfolders" option and point the updater to the folder where you've had unpacked the drivers .rar or .zip archive to, eg. C:USB_Driver. The driver should install automatically. It may happen that after the installation some new "unknown device" (for example, say "Samsung Modem") would appear in the Device Manager. Complete 6 & 7 step for that device and any other new device that may appear afterwards. That’s it! You successfully installed USB driver for your Android device. It’s time to discuss about tools that may help you to simplify the task. Remember, always uninstall previous manufacturer USB driver (if any) before trying these tools.